Juventus to scupper Everton's chances of landing Andre Gomes? Italian champions Juventus are reportedly prepared to offer stiff competition to Everton in the race to sign Andre Gomes on a permanent deal next summer. The 25-year-old joined the Toffees on a season-long loan from Barcelona last summer and he has since impressed with nine league starts after overcoming a hamstring problem at the early phase of the campaign. Despite this, Toffees boss Marco Silva has recently acknowledged that Silva will return to the Camp Nou next year with no buy option inserted into his loan deal and his situation appears to have caught the attention of Juventus. According to The Sun, the Bianconeri are looking at the Portugal international as a potential option to bolster their ranks in seven months' time and they could lodge an offer, should Barca seek to cash in. 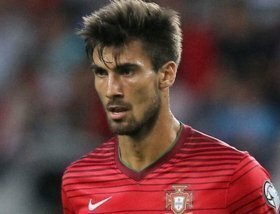 Aside from Juventus, Tottenham Hotspur have also been tipped to make an approach for Gomes after Silva recently admitted that the club are helpless in committing the midfielder to a permanent deal.